Now, every time I would visit Big Bazaar or Hyper City and stroll down their food lanes; my attention would always be caught by these Epigamia Greek Yogurts. 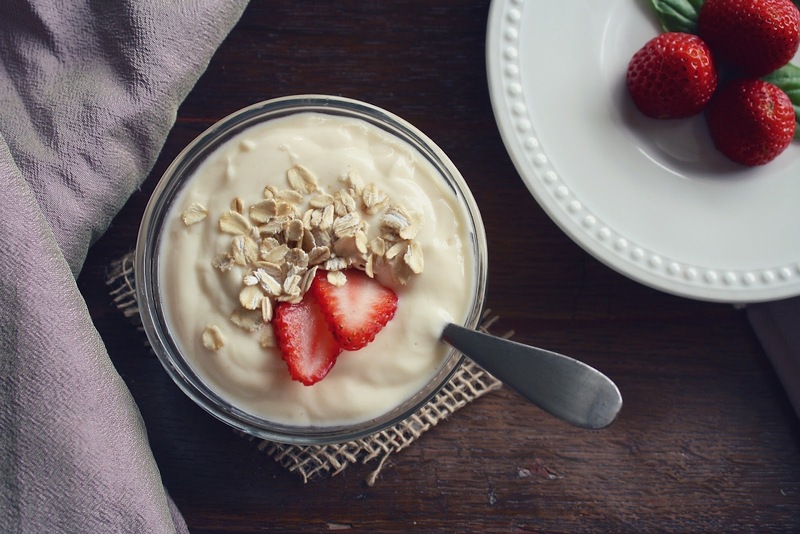 They offer two value added packs; one comprises of only the yogurt whereas the other is accompanied by the granola pieces. Of course sometimes its barley puffs too. In a way, these are meant to enhance the protein intake as well as give you that crunch you might need to contrast the smooth creamier texture of the yogurt. The team of Epigamia was kind enough to send over some of their samples for the purpose of review. I selected 6 variants out of 8 as per my personal preference of flavours. Thousands of years ago, the ancient Greek and Indian Civilizations decided to put aside their differences to unite and flourish together under a peace treaty called Epigamia. 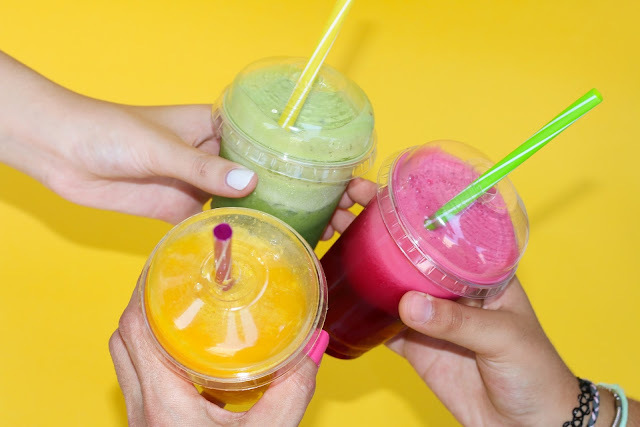 Inspired, we call ourselves Epigamia in our quest to unite the worlds of health and taste in a harmonious blend. We think that’s a pretty special place. Apparently that’s how Epigamia meaning has been derived. Personally, I have a terrible historical memory. So even if such a thing was taught in school, *duh* I’m clueless! But of course, what we have at our homes on a daily basis, i.e. Curd; it is actually the same base which is modified and given a yogurt formulation. In case you don’t know, yogurts are much creamier. This is because yogurts are acquired by removing water contents from the curd. 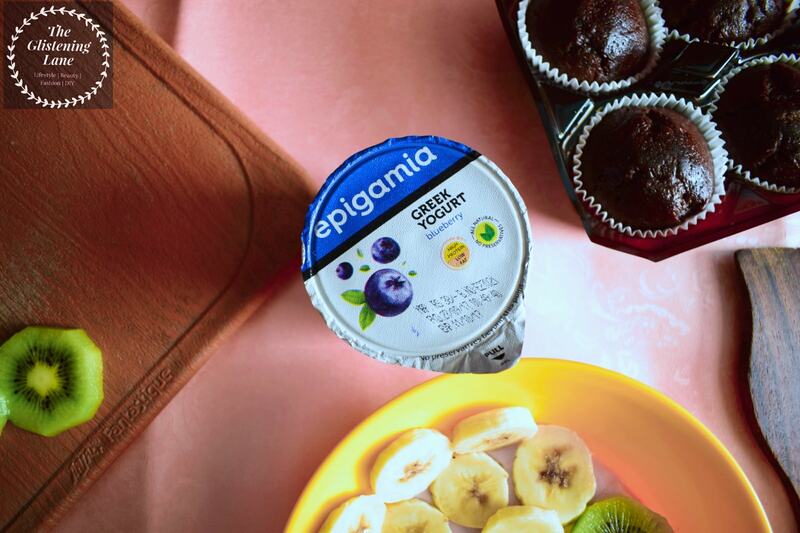 What’s Inside Epigamia Greek Yogurt? 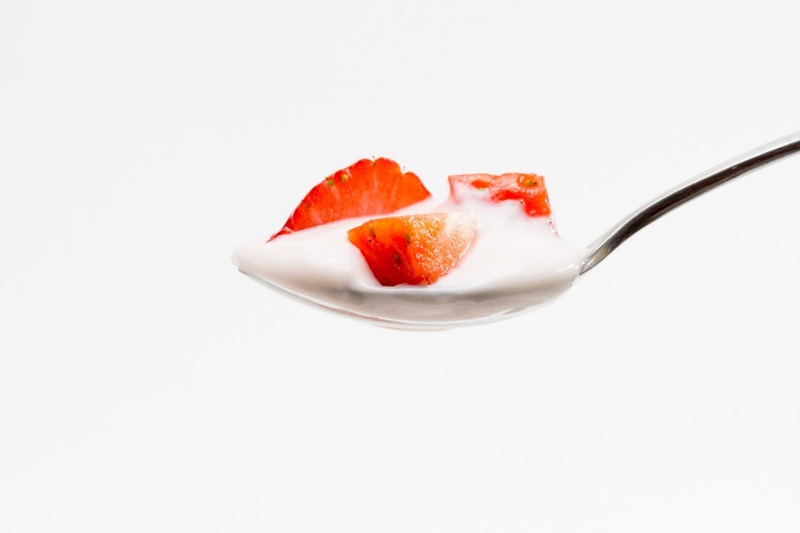 ❤Milk Standardization: Low fat cow milk is homogenised and pasteurized. ❤Milk Inoculation: Select cultures are added. 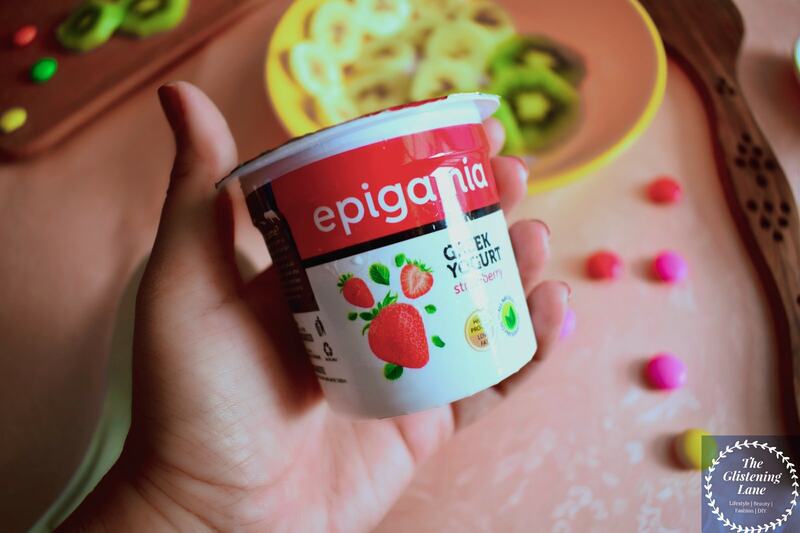 ▶Take a bowl and pour in your favourite Epigamia Yogurt. 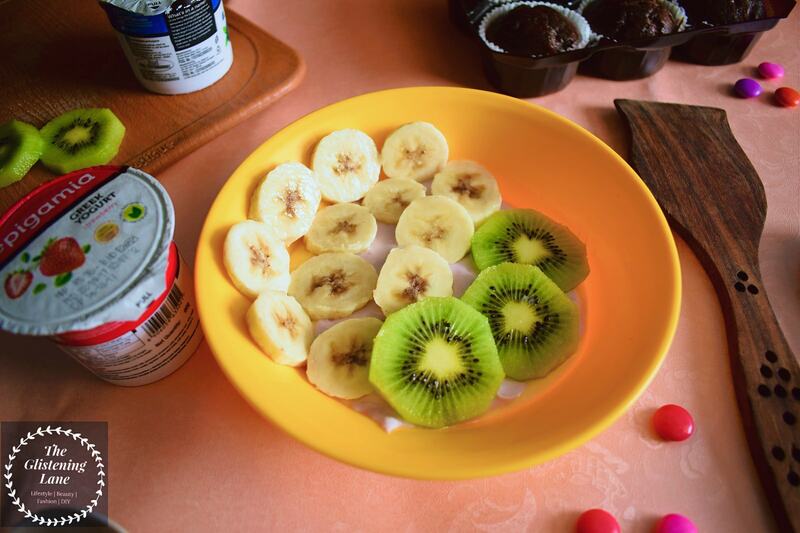 ▶On top of it, place some sliced fruits of your choice. I used bananas and kiwis as these were easily available. You can go as fancy as you want. 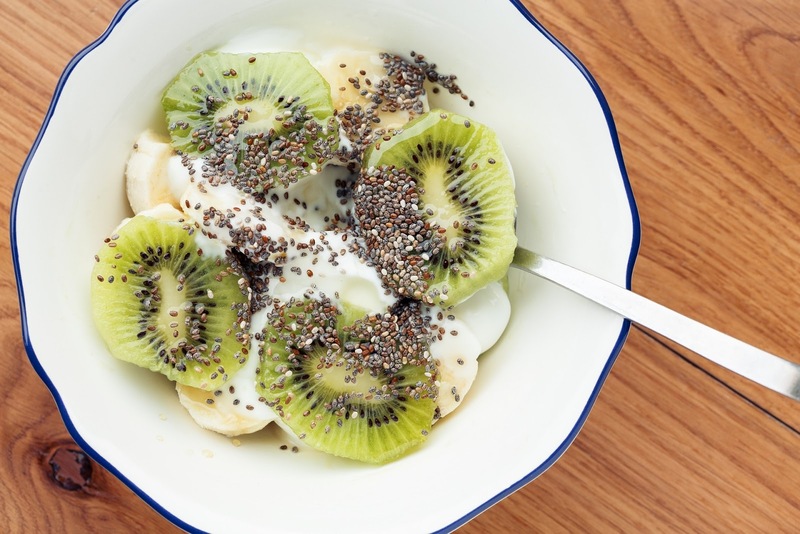 ▶To top it off, use the granola chunks or you can go for chia seeds and sprinkle some on. ▶In a blender, add in your favourite Epigamia Yogurt. ▶Also throw in some fruits like banana or strawberries which have been kept in the freezer for 10-15 minutes. Include some ice cubes too within the blender. ▶You can again use chia seeds here to or probably some green leafy vegetables like spinach (but not a lot). 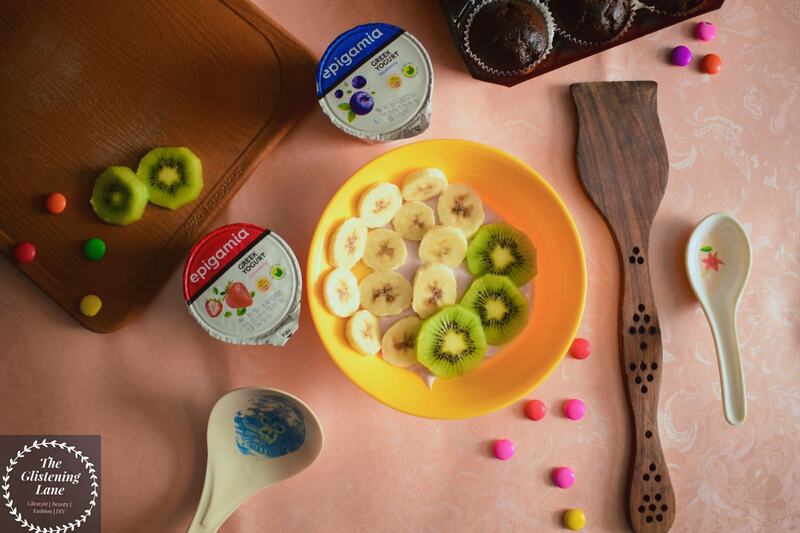 ▶The natural Epigamia Yogurt is great if you wanna include it into anything beyond deserts. Take some scoops of it and add to it a seasoning of your choice like chilli flakes, turmeric, etc. Mix them well and spread it on a slice of bread. 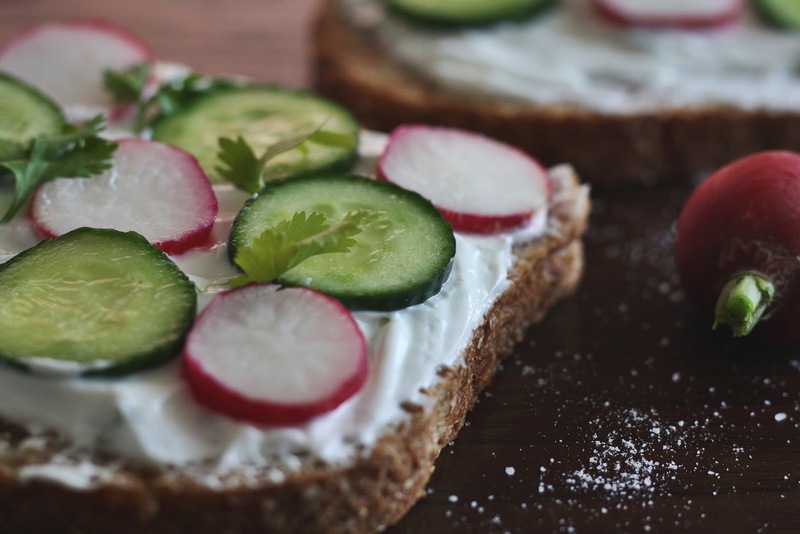 ▶Over the dressing, place your favourite veggies like cucumber, capsicum, tomatoes, etc. 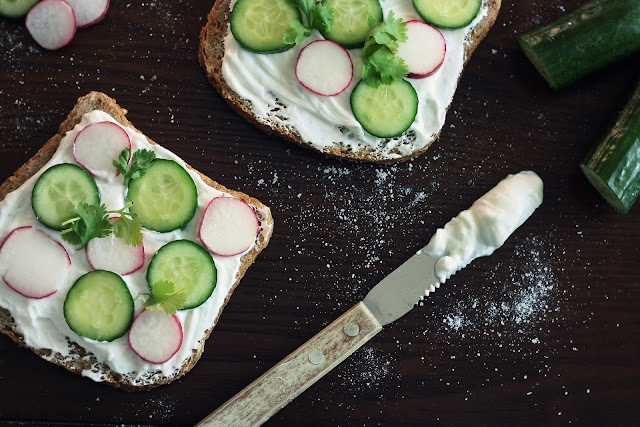 ▶Cover the sandwich filling with another slice of bread and serve it with a ketchup sachet or a dip of your preference. ▶Take a tall glass and start putting layers systematically one over another. 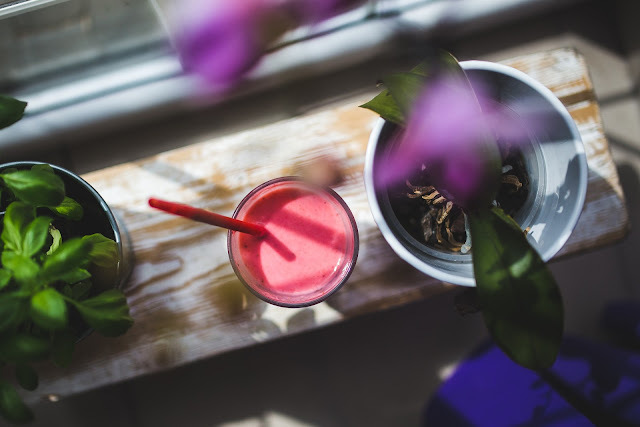 ▶Begin with a layer of fruits; preferably strawberries. Take a spoon and place a spoon or two of strawberries at the bottom of the glass. ▶On top of it, add some granola layer. In case you don’t have granola, use fine biscuit crumbs. Make sure to slightly press each layer a little before adding another ingredient. 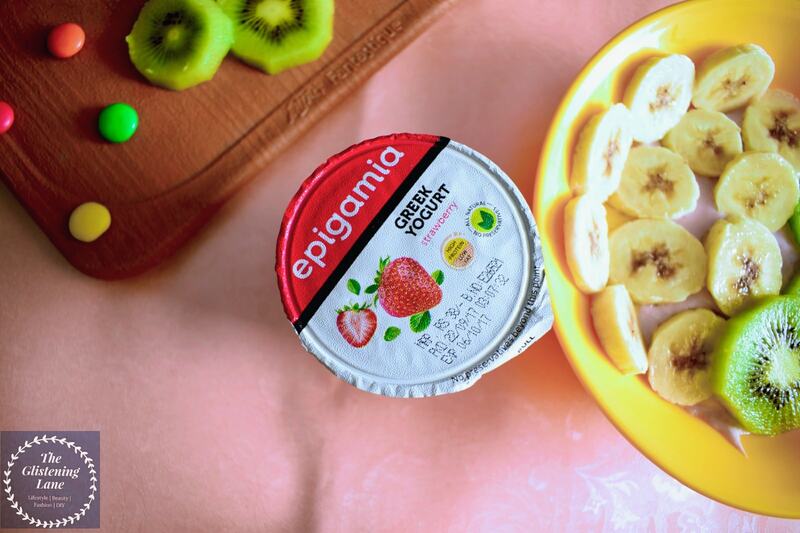 ▶Next, add in some creaminess of Epigamia Yogurt. 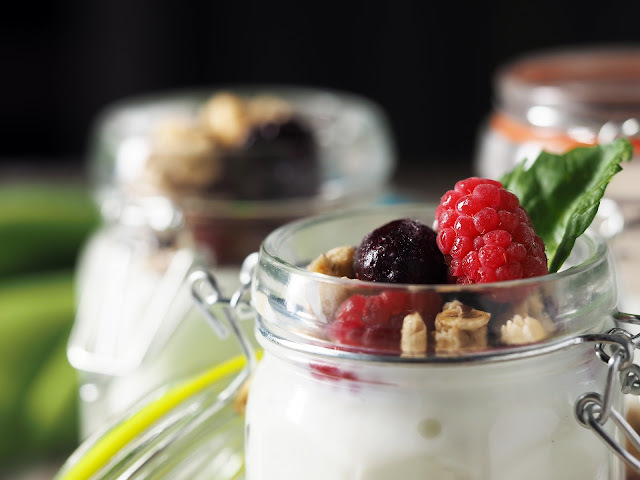 ▶Repeat these steps twice and your parfait is ready! ▶Garnish with strawberry chunk or mint leaves. You can also drizzle some chocolate syrup.